The Main subjects taught are world archaeology, archaeological theory and archaeological science. The department and associated staff are involved in archaeological projects world-wide, ranging from Argentina to Kazakhstan. 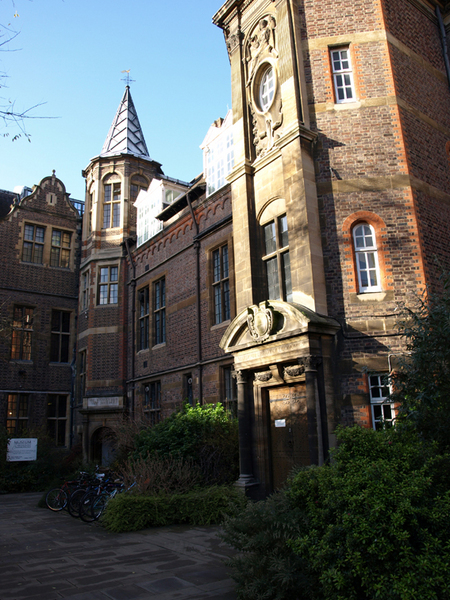 The Department of Archaeology has a teaching staff of 18, and is the oldest department of its kind in the UK. It offers Undergraduate and Masters (MPhil) courses in a wide range of archaeological topics, and facilities for research leading to the degree of Doctor of Philosophy (PhD) in archaeology across its entire range of specialisations and periods. Undergraduate students of the Department participate in field trips and excavations as a part of their study, and also have the opportunity to be involved with fieldwork abroad. 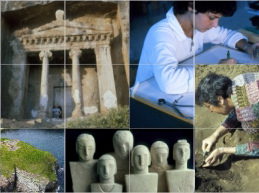 Most researchers are based in the Department of Archaeology and the McDonald Institute for Archaeological Research, with others in the Cambridge Archaeological Unit, the Leverhulme Centre for Human Evolutionary Studies (LCHES), the Museum of Archaeology and Anthropology (MAA), and in the Faculties of Classics, Continuing Education, and (prior to the 2007 transfer of Ancient Near East staff into Archaeology) Asian and Middle Eastern Studies. The Department of Archaeology maintains close contact with the Departments of Anglo-Saxon, Norse, and Celtic, Classics, Earth Sciences and Plant Sciences, the Quaternary Palaeoenvironments Group, and the Unit for Landscape Modelling. in the country. Small student numbers facilitate regular contact between students and staff in seminars. The McDonald Institute for Archaeological Research hosts a wide range of research seminars, discussion groups, and facilitates interaction within a diverse post-graduate and post-doctoral research environment. The Institute produces the Cambridge Archaeological Journal and publishes the McDonald Institute Monographs. Since 2008 undergraduate teaching in the languages, history and archaeology of the Ancient Near East (Egypt and Mesopotamia) transferred from the former Faculty of Oriental Studies to the Department of Archaeology. Whilst they only offer one Undergraduate degree; Human, Social, and Political Sciences BA, the structure allows either a broad-based first year and specialisation in second and third years or significant specialisation from the first year. . Courses offered include; Archaeology and Biological Anthropology, Archaeology and Social Anthropology, and Assyriology and Egyptology. Post graduate courses include taught and research degrees allowing specialisation across a wide spectrum of interests covering archaeology and ancient languages.